Bhutan hiking trips is a magical trip which is a mix of cultural tours. 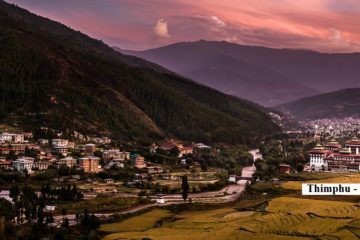 11 days Bhutan hiking tours comprises of Cultural tours and trek, a fairly easy hike to undertake as the distances between rest camps is fairly short. The trail takes you through forests of fir, blue pine and dwarf rhododendrons at altitudes ranging between 2400-4200 m. On the third day hikers will arrive at Jimiling Lake, whose crystal clear waters are home to gigantic trout. This 11 days Bhutan hiking tours will offer hikers to see stunning views of Mt. Gangkar Puensum, the highest unscaled peak in the world. View 11 days Bhutan hiking tours trekking map in Google Map. The flight to Paro is one of the most spectacular mountain flights in the world, with a constantly changing panorama of some of the highest mountains on earth. Our representative will meet you at Paro airport. 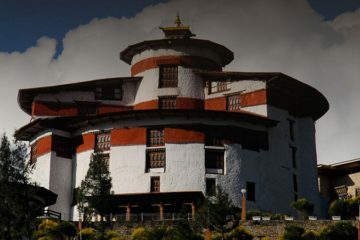 After lunch enjoy afternoon sightseeing around Paro, including a visit to the National Museum, Ta Dzong. Next, visit the Rimpong Dzong to see the painting of the great saint Milarepa. Afterwards walk to the beautiful cantilever wooden bridge still in use. Overnight at your hotel in Paro. After breakfast hike to Taktsang Monastery. Nearby there is a teahouse where you can stop for lunch. Today is a short trekking day. The journey starts with a climb up to Jele Dzong. The trek trail ascends gradually up to the camp, and if the weather is clear Paro valley can be seen surrounded by snow capped mountains. Above the camp is Jele La (3400m) and Jele Dzong. There is also a Lhakhang containing a statue of Buddha Shakyamuni. Overnight at campsite. En-route Dochula Pass (108 Chortens) and after lunch, will continue with Nalanda Buddhist College, Punakha Dzong and Bhutan`s largest suspension bridge. Evening return back to Thimphu. Morning, we will be visiting Kuensel Phodrang, Mothithang Takin Reserve , Handmade Paper Factory. After lunch continue our visit to Folk Heritage Museum, Memorial Chorten and Changangkha Lhakhang and Tashichho Dzong.